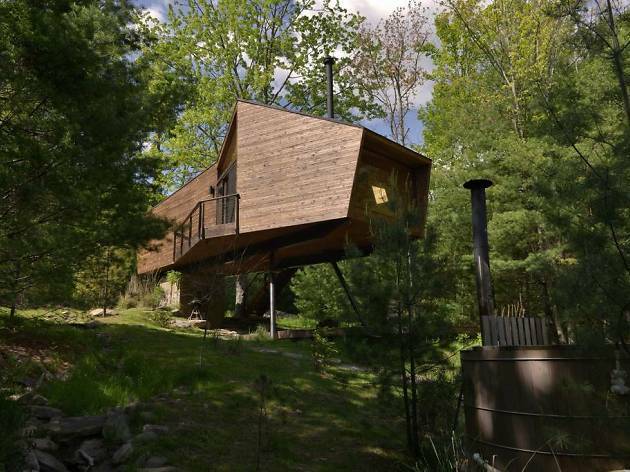 Trade in city lights for the warm glow of a wood-burning stove at the top Airbnb Hudson Valley rentals we could find. 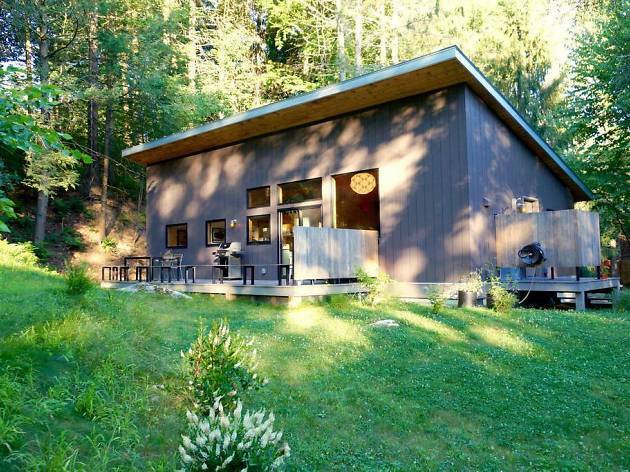 Sure, you can snag some temporary R&R at the best spas in NYC, but sometimes you need a long weekend away in cozy cabins so you can fully de-stress and recharge. 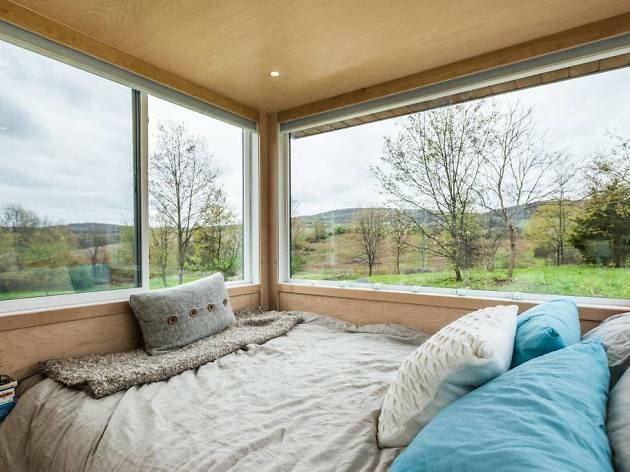 That’s why we’ve rounded up 15 spectacular Airbnbs that boast breathtaking views, luxurious amenities and scenic hiking, all within a few hours’ drive of Manhattan. 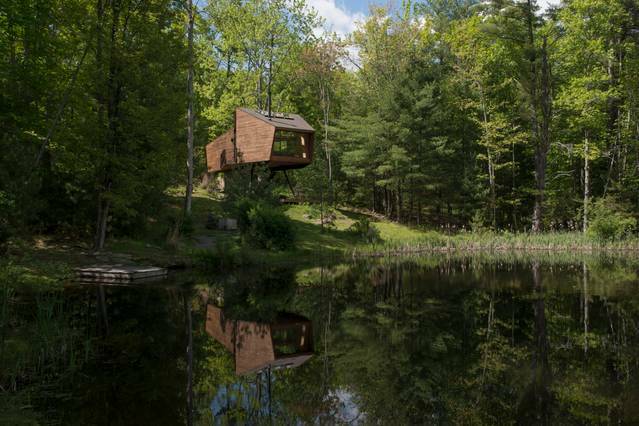 Located just 15 minutes outside of Woodstock, this secluded “treehouse” flaunts a unique, observatory-like design optimal for mountain, water and starscape views. 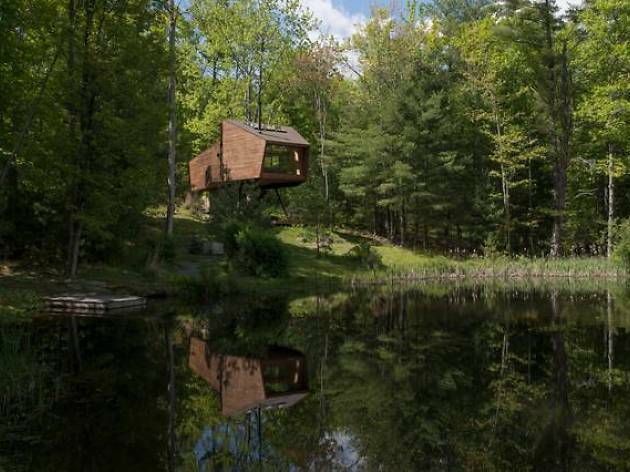 Perfect for a romantic weekend getaway, the main floor is equipped with a full-size kitchen, a wood stove and a lounge-worthy couch overlooking a private, swimmable pond situated on 34 verdant acres. Spend an evening in the Swedish wood-burning hot tub before turning in on the lofted king-size bed bordered by windows and skylights. This Southeast Asian–inspired sanctuary features an array of luxuries to help you achieve weekend zen. Inside, heated terra-cotta floor tiles beset a stand-alone sunken tub strategically perched behind the main house’s towering two-way fireplace. 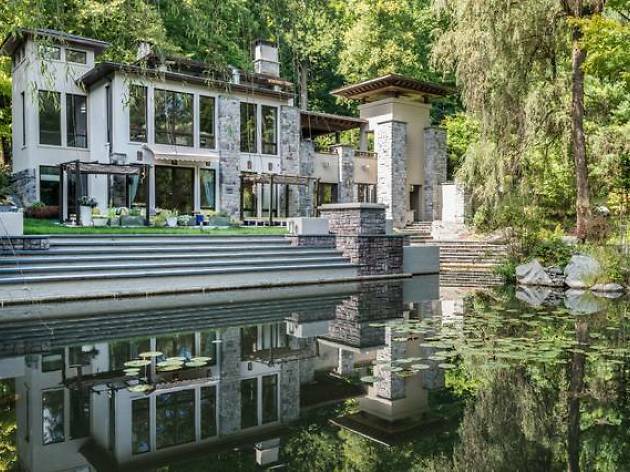 Outside, detailed Balinese woodwork shades rocking chairs and hammocks that overlook a private swimming pond, hot tub and fire pit. And it’s all just a 90-minute drive from midtown. 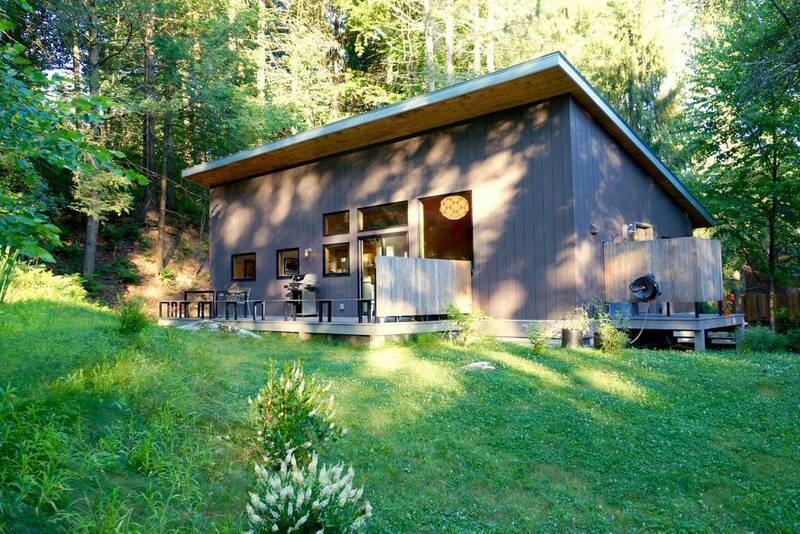 Go green at this custom-designed, hand-built eco cottage located just one hour and 45 minutes from Port Authority. The cottage’s ultramodern state-of-the-art appliances, like the induction cooktop and Advantium oven, allow you to conserve household energy during your stay. And when you’re ready to expel some physical energy, hit the hiking trails or nearby swimming hole. 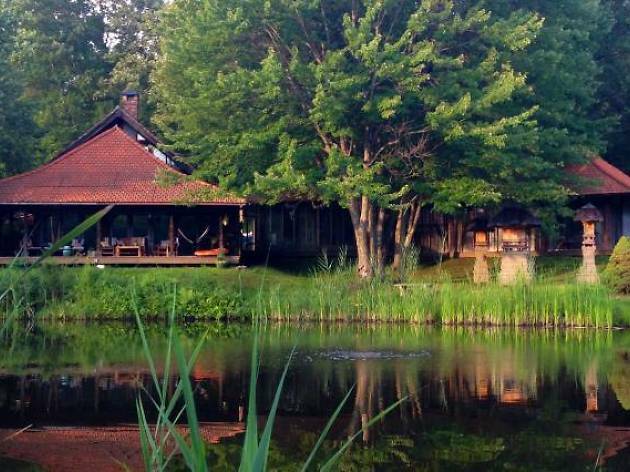 Each stay includes two free day passes to Mohonk Preserve—what the Nature Conservancy calls “one of the last great places on earth. This house is tiny, but it boasts big views. 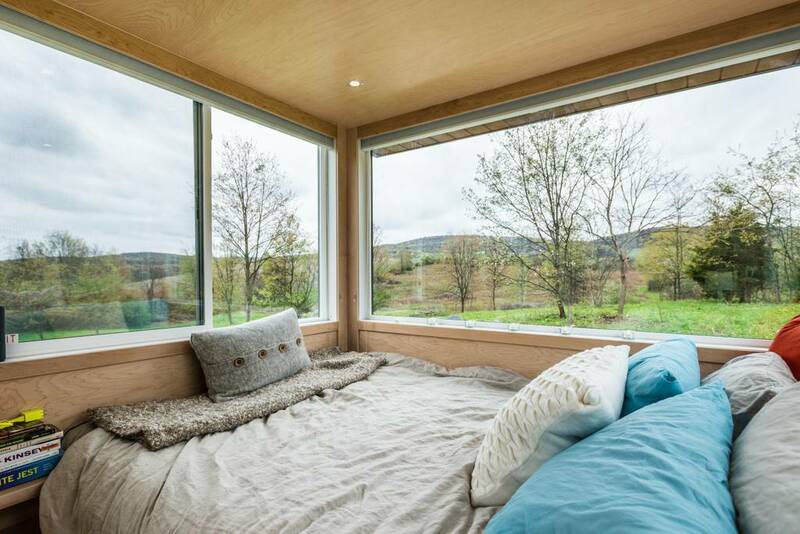 Three sides of the solar-powered abode are made of glass, showcasing panoramic views of a 30-acre farm awash with rolling hills, vineyards and apple orchards. Feel the city stress melt away as you lay in bed gazing up at the stars. And when you wake from your siren-free sleep, enjoy local farm-fresh eggs on the outdoor dining table cloaked by Mother Nature. 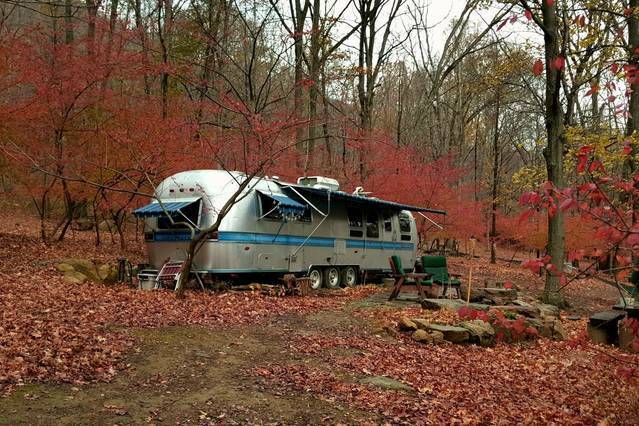 Satisfy your inner glamper in this 34-foot vintage Airstream. 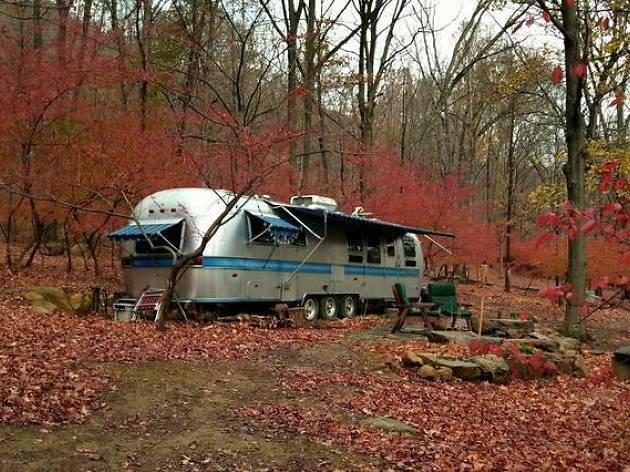 Fully equipped with three beds, hot water and a full kitchen, you’ll love coming home to this cozy camper after hiking Hudson’s trails. There’s even Wi-Fi so you can catch up on your favorite shows while lounging in the hammock. 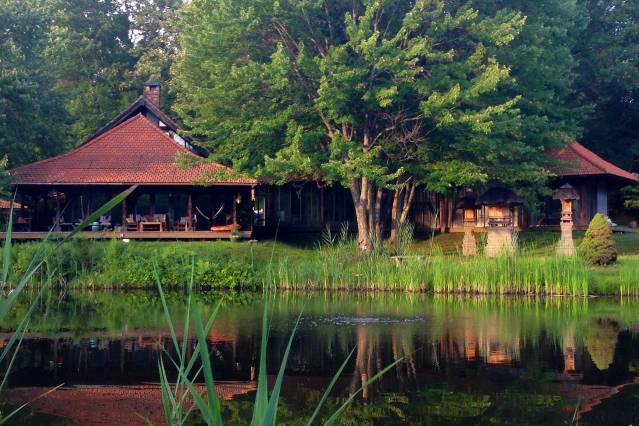 The 4,000-square-foot Mission House Sanctuary is the ideal place for your large group getaway. Each of the four globally inspired bedrooms has its own private bathroom and outdoor sitting space. 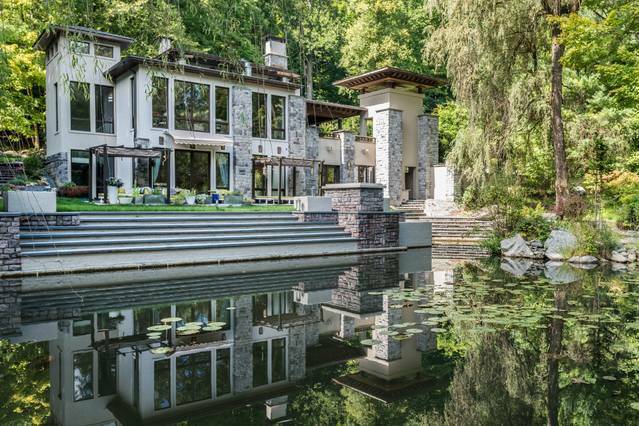 On the main level, guests can pile into the open concept living, dining and kitchen area that opens out to an expansive dining deck overlooking the serene, lily pad–laden pond. In a house this size, there are plenty of tranquil sitting spaces to steal some alone time. 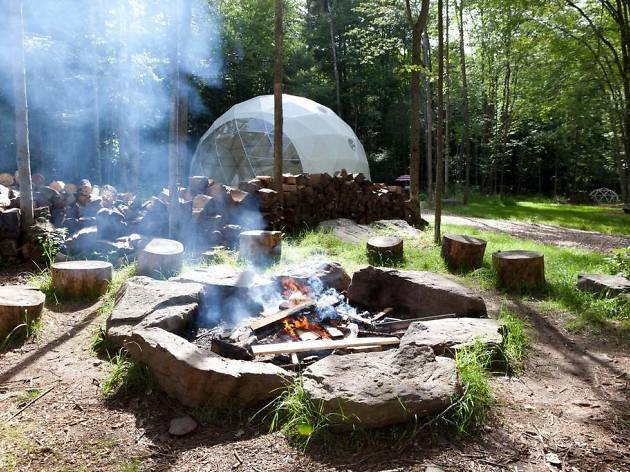 When glamping in the dome, guests are encouraged to BYOBed. 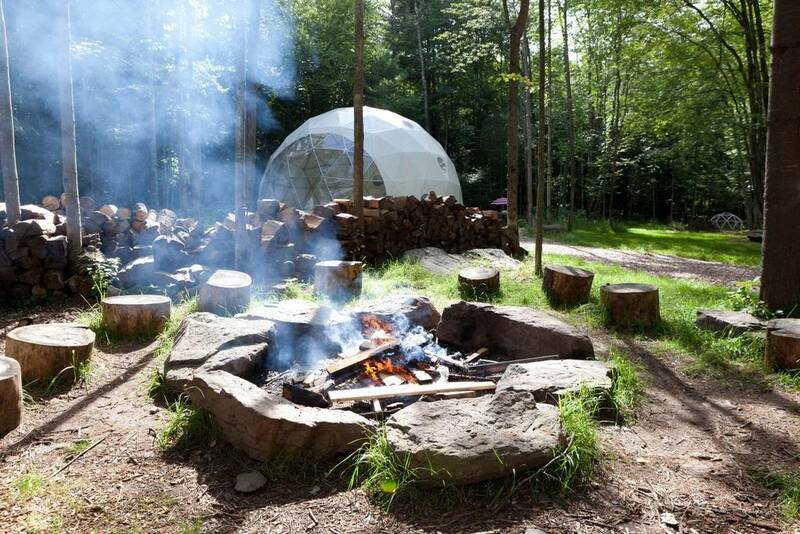 The screened-in dome is large enough to accommodate up to 16 guests who’ll have full access to the farm’s outdoor kitchen and grill, fire pit, hammocks, double hot showers and clawfoot bathtub. Merino sheep, angora bunnies, goats and chickens run free, so be sure to leash your dogs as you roam about. 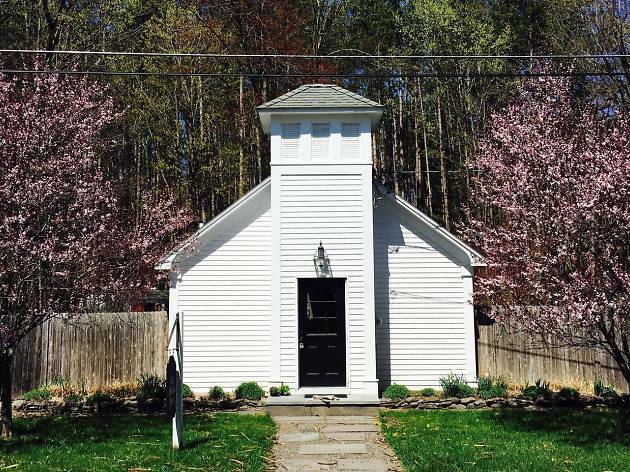 Whether or not you want to worship, all are welcome at the old Leibhardt Church turned vacation rental. The 115-year-old relic has been updated with entertaining modern amenities like a heated saltwater pool, outdoor hot tub and 600-square-foot enclosed porch enriched by a wood-burning stove. Located on two verdant acres filled with pine trees, vegetable gardens and fruit trees, it’s hard to believe this historic retreat is just a two-hour drive from Manhattan. 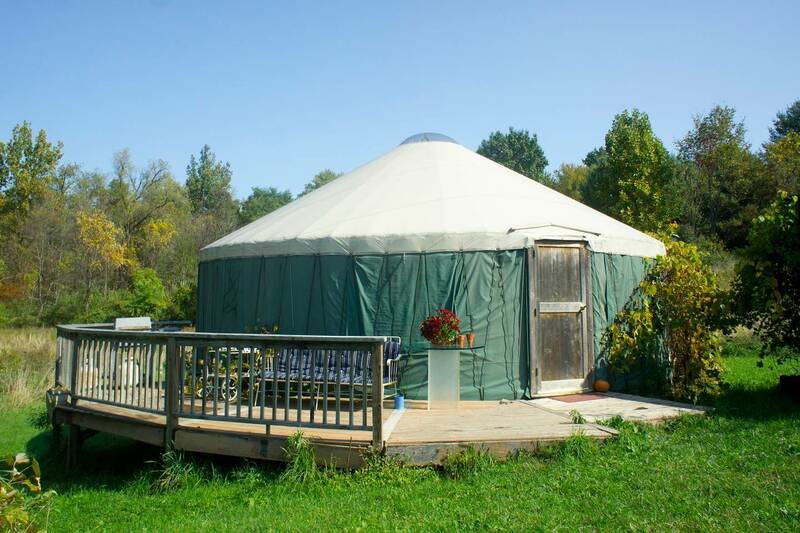 Even the most outspoken glamping critic will change their tune after spending one weekend at this luxe yurt located on a 27-acre horse farm just two hours north of NYC. The spacious 700-square-foot cylindrical structure is decked out with a full kitchen and charcoal grill for rustic cooking, propane fireplace for evening reading and skylight for nighttime stargazing. 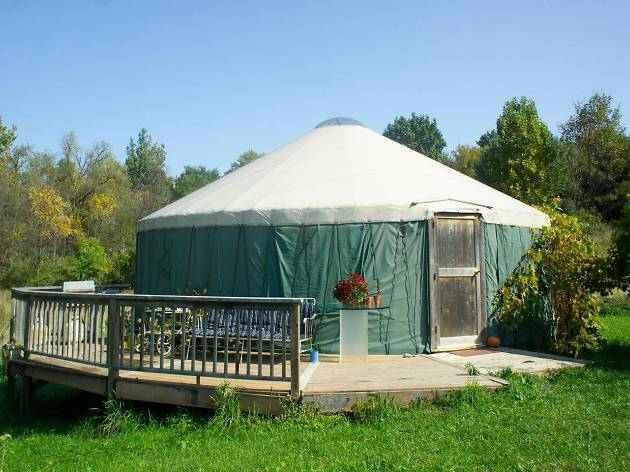 Glampers even have access to the farm’s hot tub, only a two-minute walk away. 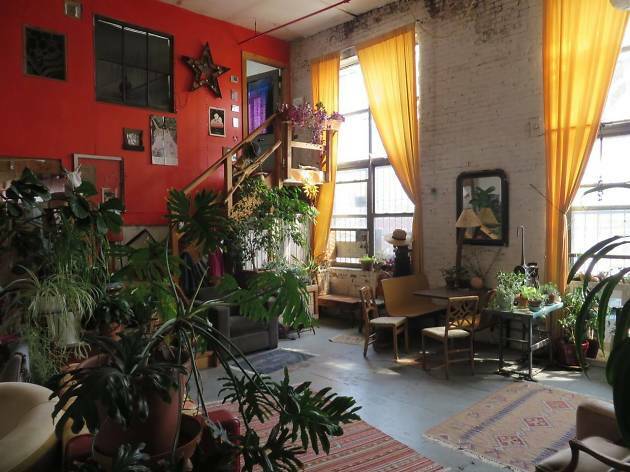 Looking for more amazing Airbnbs?